Hi everyone! I hope you’re enjoying our vlogs! I don’t always post them here on the blog, but if you want to keep up with some of our antics make sure to follow me on YouTube and you won’t miss out. I’m also doing short stories daily on Instagram as well, so follow us there to see what we’re doing! 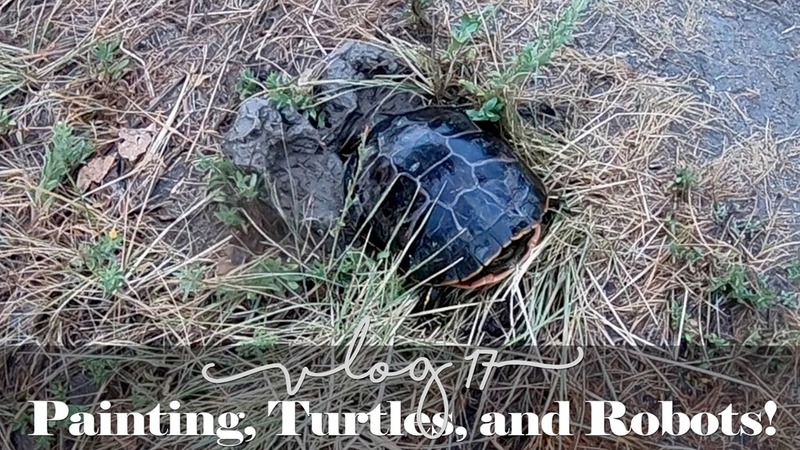 Check out VLOG 17 – Painting, Turtles & Robots! 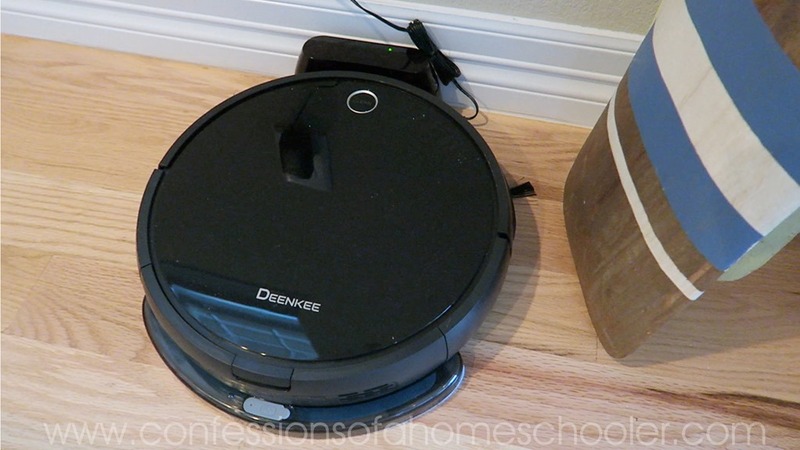 In today’s vlog I had the pleasure of reviewing the new Deenkee robot vacuum/mop cleaner. As most of you know, I’m a busy homeschooling and working mama and I’m always up for anything that can make my life easier! Since we’ve gotten hardwood floors, one of my main things is daily sweeping and of course lots of mopping. But who has time for that? Not me! 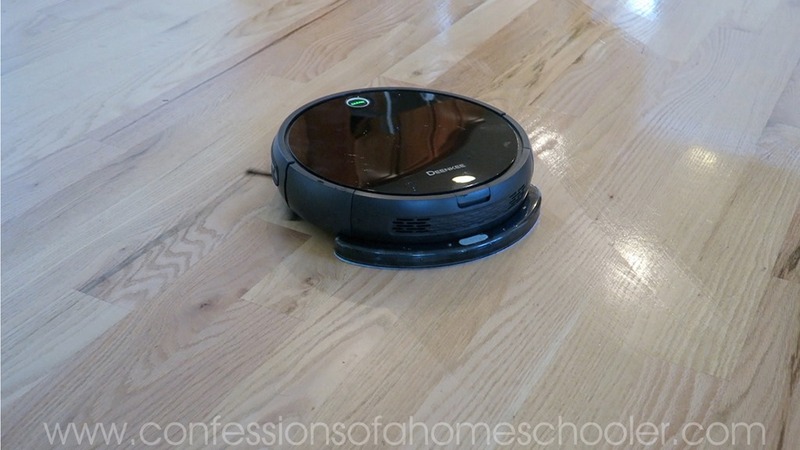 So enter my robot vacuum cleaner! Since it’s such a huge space I really just needed help in this area, and with Bandit dropping dog fur like a boss, daily sweeping is a must! And this Deenkee is made for pet fur which is a total bonus! I can’t even tell you how much time this thing has saved me. I usually pick up the house in the evenings before bed, and just let her run! We’ve named her Alice (think Brady Bunch) and man am I happy she’s joined our family! The Deenkee has a vacuum plus a mop so I was excited to see how it worked. I will say that the moping is a very light mop, so it didn’t get up anything that really needed to be scrubbed, but it does get up basic dirt. The vacuum did a great job especially on edges, and I’m super happy with the results. You can see the Deenkee in action in today’s vlog! 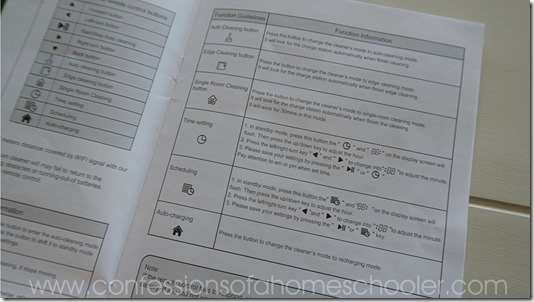 The Deenkee features several handy features including an auto clean button, edge cleaning (my favorite! ), single room cleaning, time setting, scheduling and auto-charging. The mop head snaps on and off for ease of use and has a nice soft pad which won’t scratch or damage wood flooring. We just set it up in the kitchen so it can run, then it goes home when it’s done and is out of the way of our daily traffic. It comes with a remove, so you can easily start it up when ready. As you can see, it’s definitely doing a fairly decent job moping, but doesn’t put down too much water which is nice for the wood floors. You can learn more about the Deenkee Mop/Vacuum here! Thanks for watching today’s vlogs! Make sure to follow us on YouTube and Instagram for more COAH fun!! What is the site to purchase using the coupon code? Thanks!